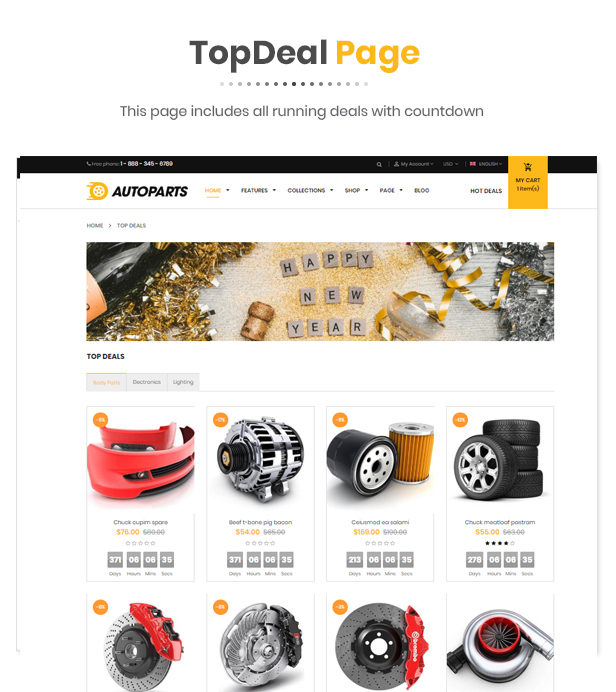 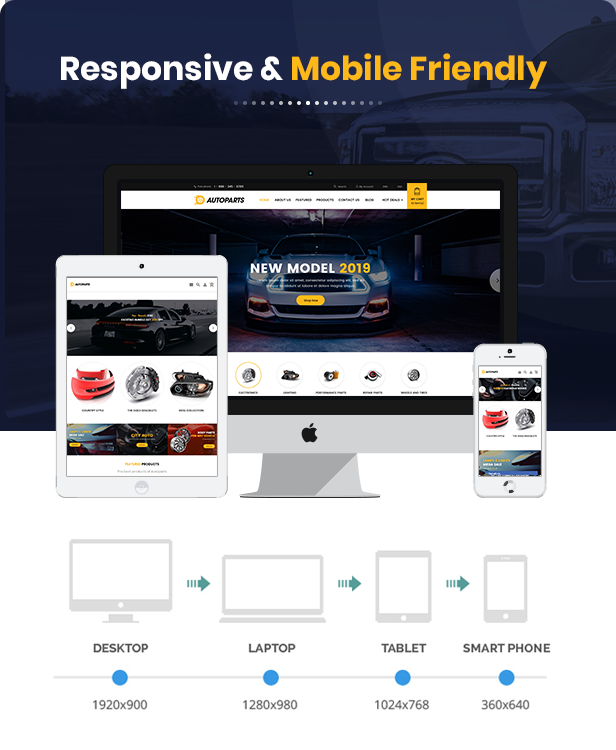 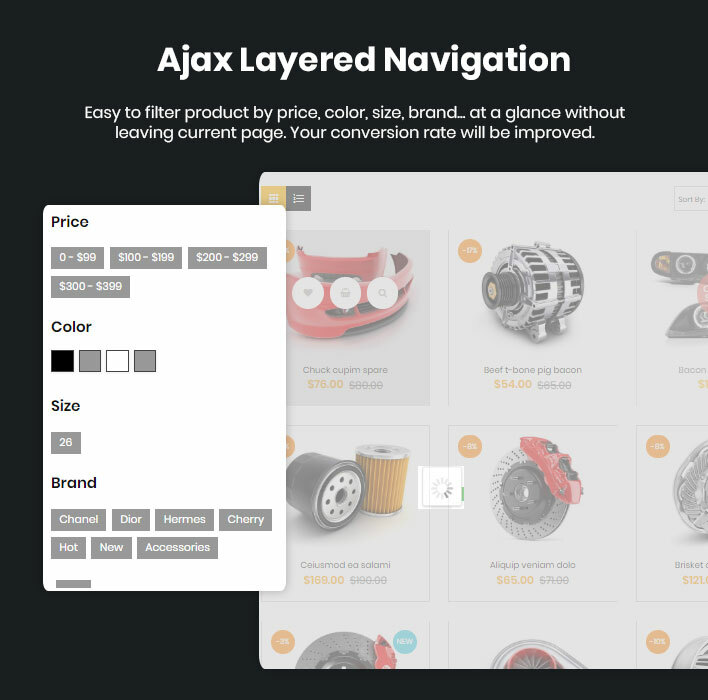 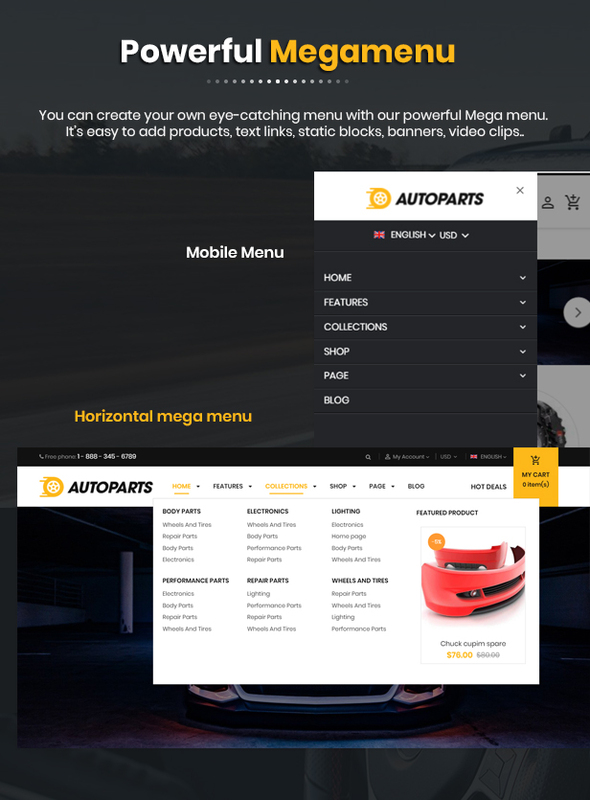 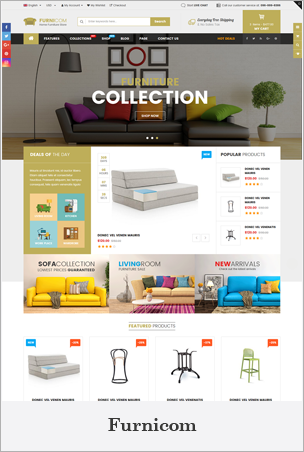 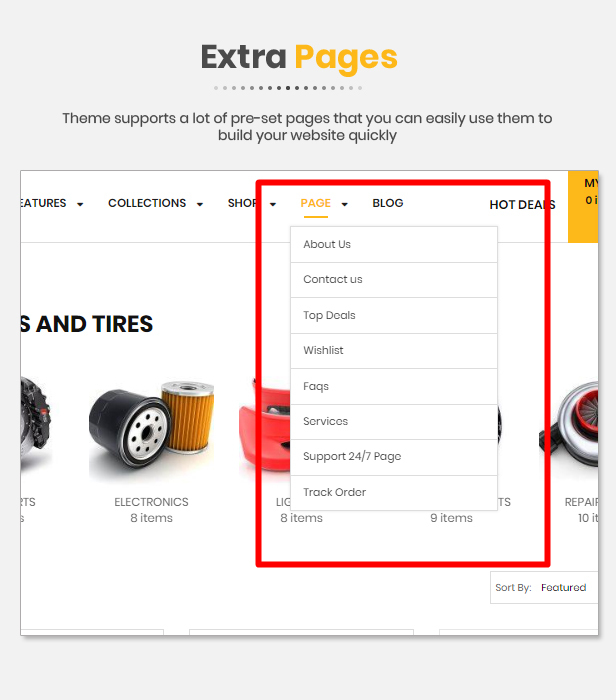 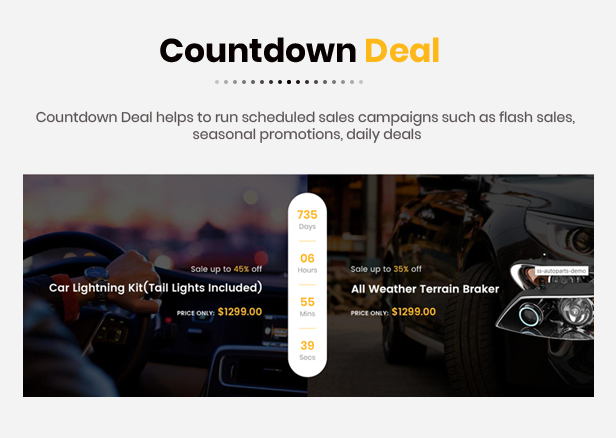 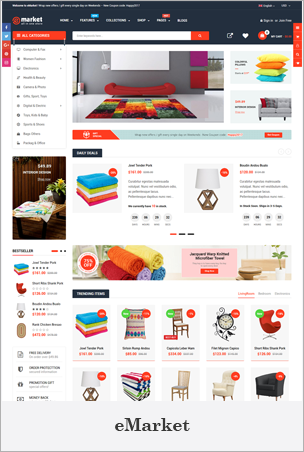 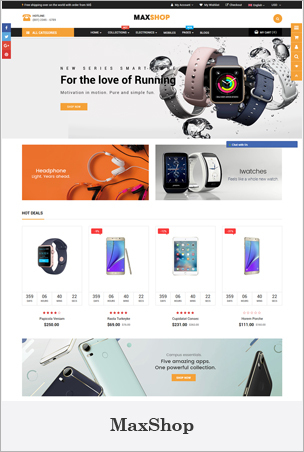 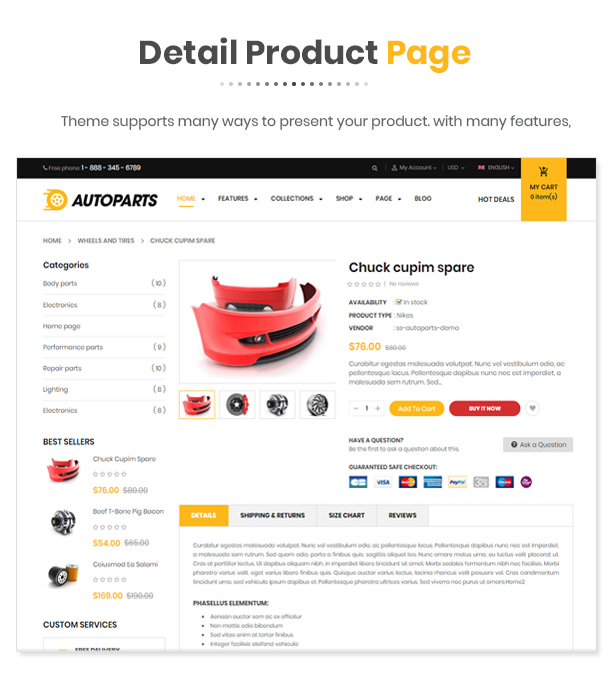 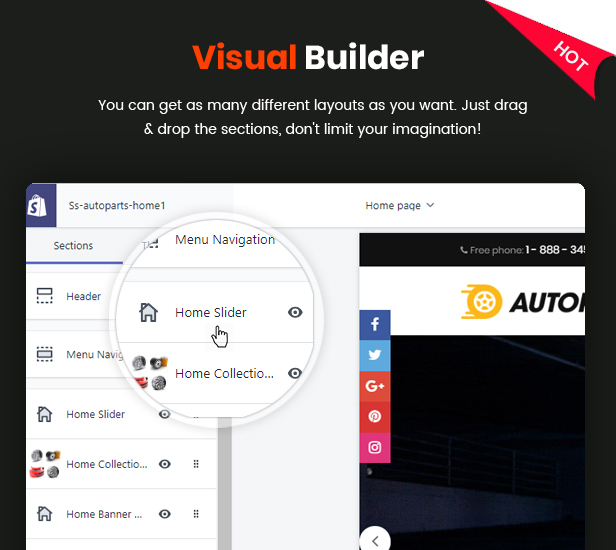 AUTOPARTS – MULTIPURPOSE AUTOPARTS, EQUIPMENTS & ACCESSORIES SHOPIFY THEME – SECTIONS READY! 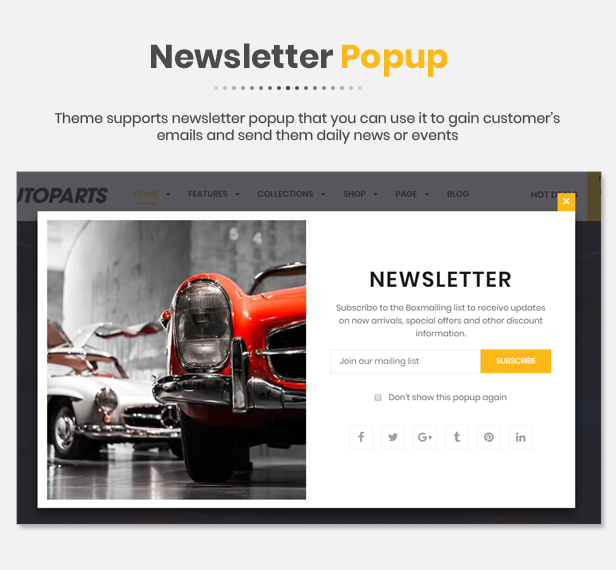 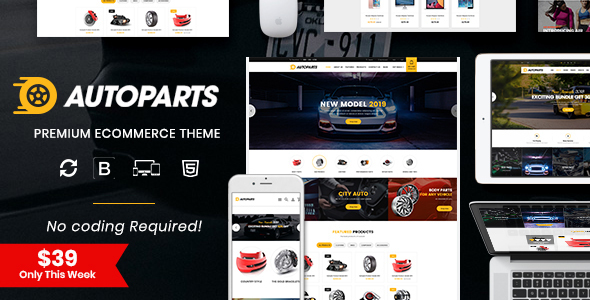 AutoParts is a professional, fully responsive and highly customizable Shopify theme that is perfect for all stores and businesses selling any kind of auto parts, auto equipment, Spare Parts, Cars, Tools, Accessories or any online shopping stores: clothing, fashion, hi-tech store, technology, accessories… This exclusive eCommerce Shopify theme is fully compatible and developed from scratch to use the Shopify’s Sections customizer. 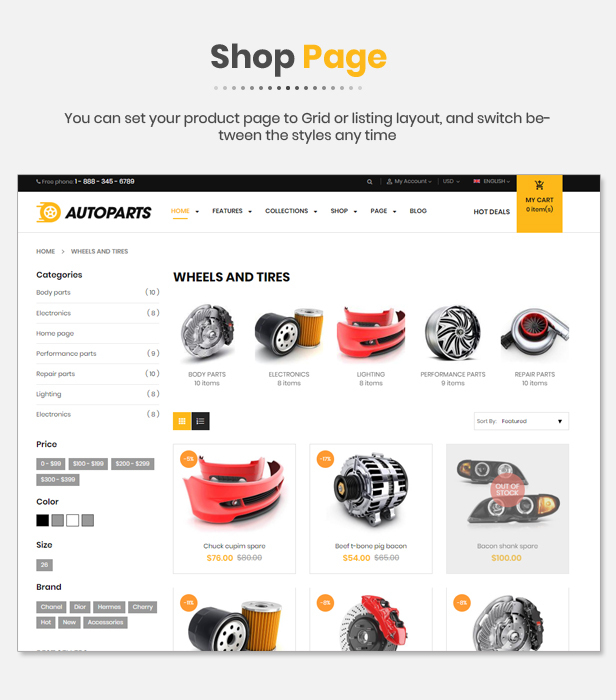 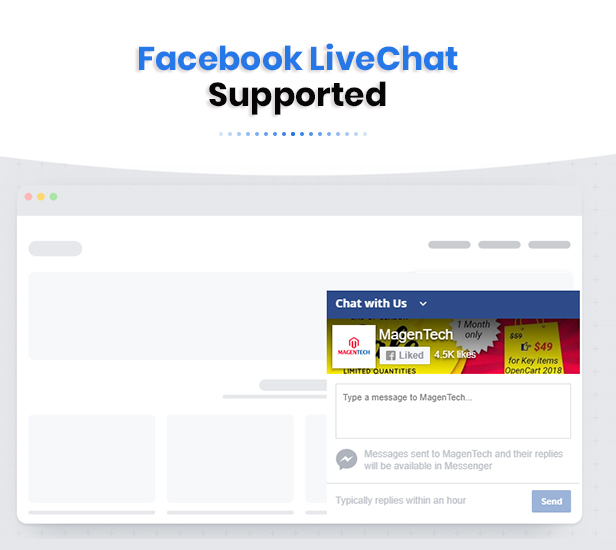 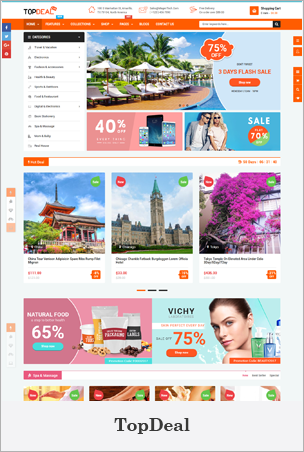 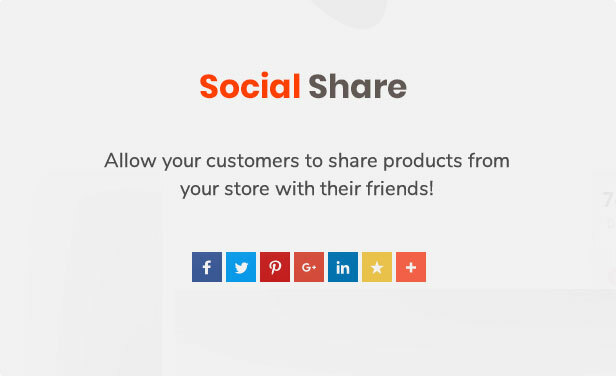 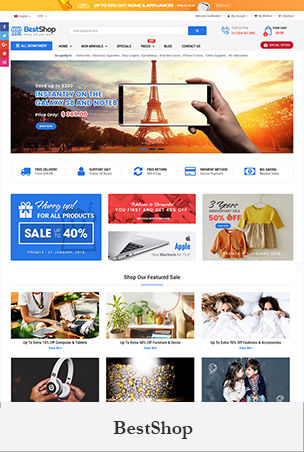 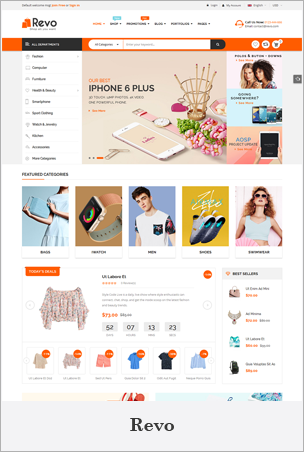 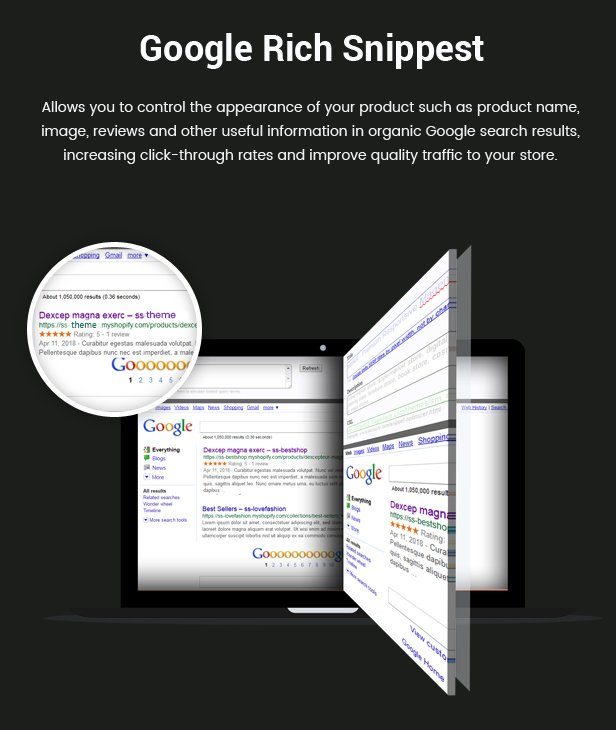 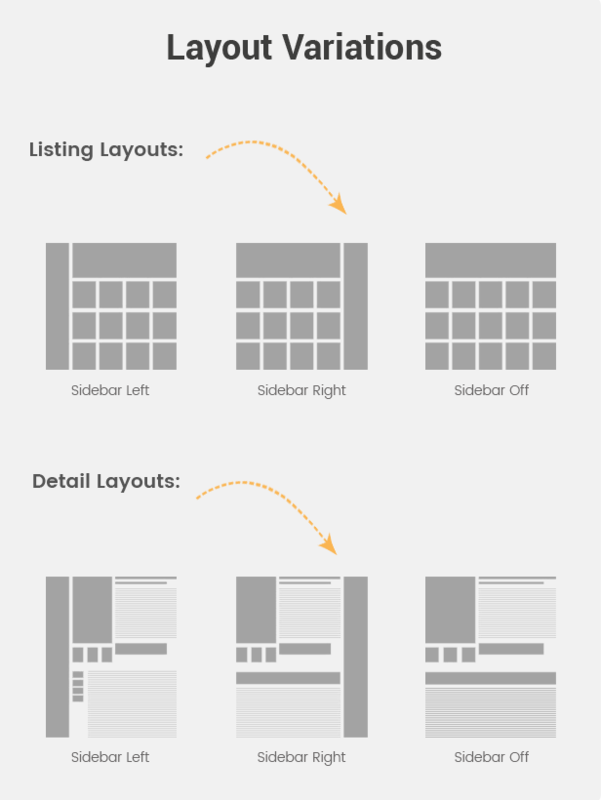 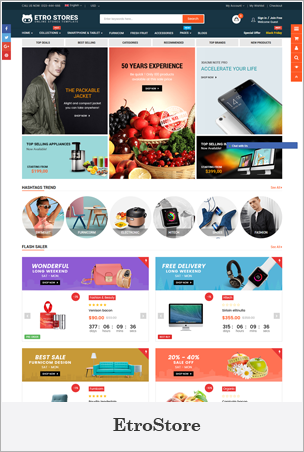 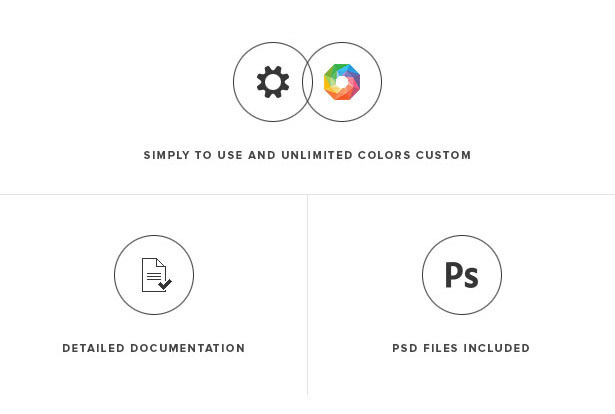 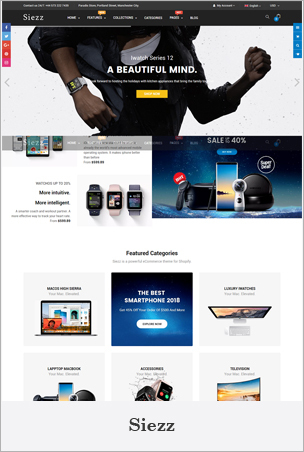 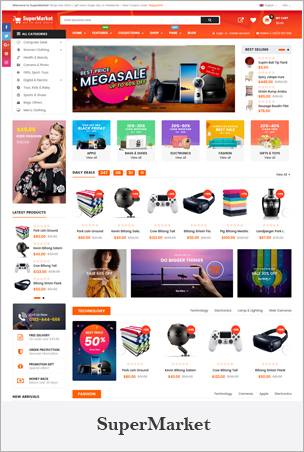 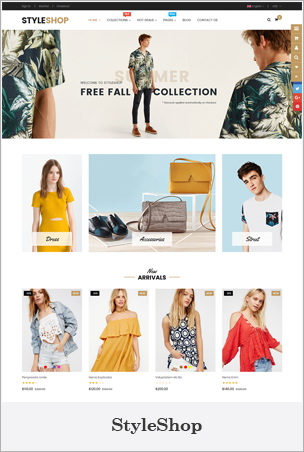 The high-performance Shopify theme – AutorParts also takes advantages of a large number of professional features and latest web technologies such as: Shopify Sections, Mega Menu, Product Color Swatches, Layered Navigation, Quick View and many more features.